Pleased to report some progress with my V12 1972 LHD import. The body needs some work to make it sound and I will be removing the engine as a part of the process. 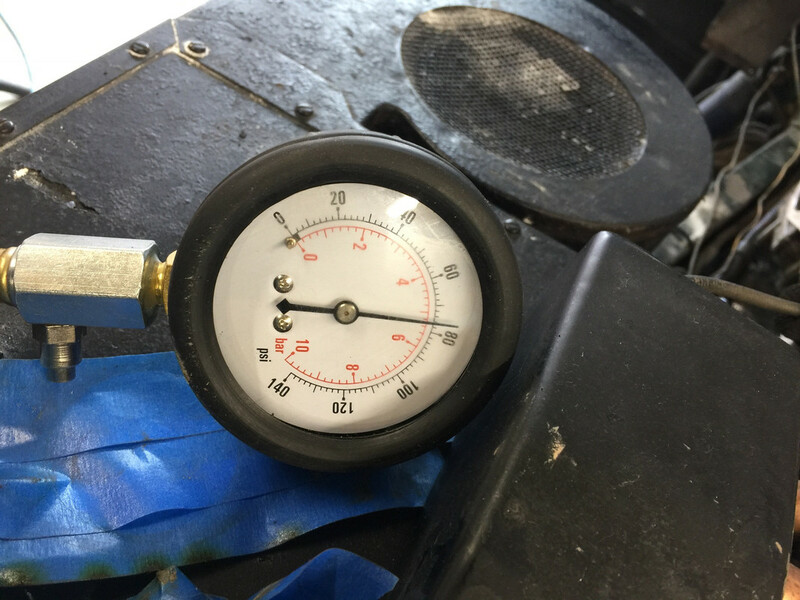 A few months ago I was pleased with the result of my compression test so today moved on to check out the oil pressure prior to removal. I removed the dud oil sender ( not easy given its location) but then found that I did not have room to attach my mechanical oil pressure guage fittings. Replaced the old sender with a new one from SNG. I then removed the oil light switch sender and with the help of a thread block from James Listers was able to connect my oil pressure gauge. 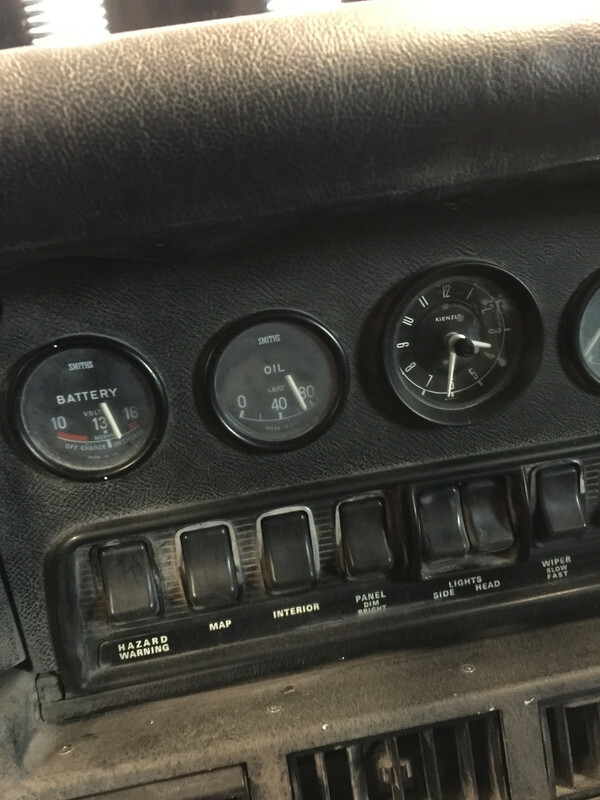 Started the engine and ran it for a few minutes, while cold and running on choke my external gauge and the now working dash gauge both reported 75psi. The ambient temperature was circa 11 degrees. The engine sounded smooth and without any worrying noises. I shut it down after a short time as all four carbs were badly leaking petrol which was pooling on the floor. (Carb Rebuild definitely required). I had intended to allow the engine to come up to temperature to check where the oil pressure settled to when warm however given the petrol leaking everywhere I thought better of it. With good compression and oil pressure I’m now think that the engine is serviceable and that a full rebuild is not likely required. Following removing the engine I intend to drop the sump and inspect the big end bearings as a further check. Nope. Replace all fluids and carry on. Even very low OP at hot idle is not a contraindication on a V12, provided it jumps up as soon as it revs. Peter thank you for your reassurance, very welcome. I’m not too far from you in Hagley Nr Stourbridge you would be very welcome to call in have a look at my project and have an e type chat over a cup of tea or a beer. Suggestions \ guidance on the project very welcome. We also have a Hagley owners e type meet up 1st Monday of most months. So far it’s just myself and Brian (tilty V12) on this forum. Couple of hours and couple of pints. If you fancied a run over to Hagley you would be very welcome to join us. Either way it would be great to meet up, I’m sure your car would be an inspiration to me. I’ll drop you a PM with my phone number.